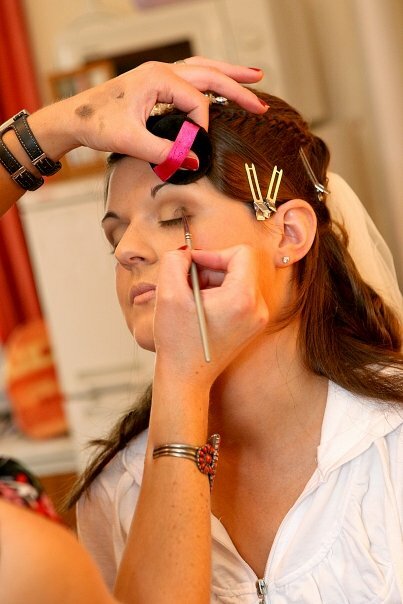 Ann-Marie offers a customised package for each brides individual requirements. Whether you require a trial at home/hotel or in your office Ann-Marie will travel to you. Trials are recommended as they enable you to see the look you will have on the day of your wedding. Little things like a change in colour of foundation to match your false tan should you go for that option,lipstick colour or gloss selection are just some common changes that a bride may encounter at trial. Lashes are a great addition to any make up look, Individual lashes are amazing for adding volume without looking “fake”, even a few strategically placed on the outer corner of lashes can make eyes appear bigger. Ann-Marie will complete trial and then email you a full product list of products she has used on you should you want to update your make up bag or prepare your bag for the big day with some powder to keep shine at bay and a lipstick,lip gloss to top up during the day.